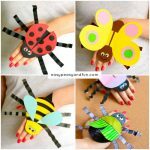 With all the joys this warm season brings, the time is just right to make some fun bug crafts. 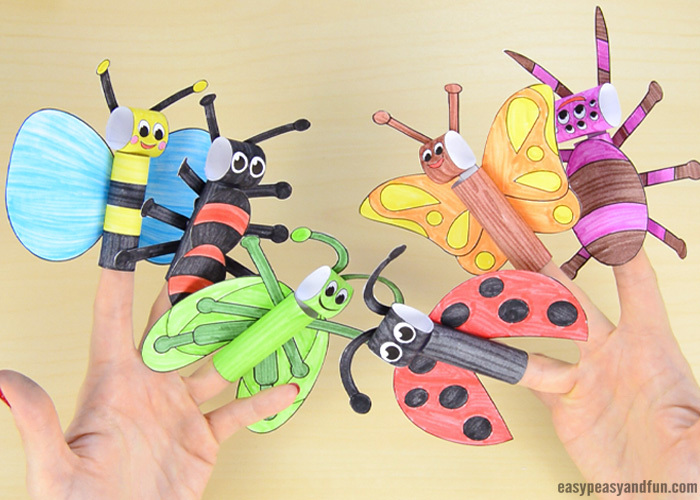 Enjoy the outdoors or indoors by playing with our cute printable bugs finger puppets! 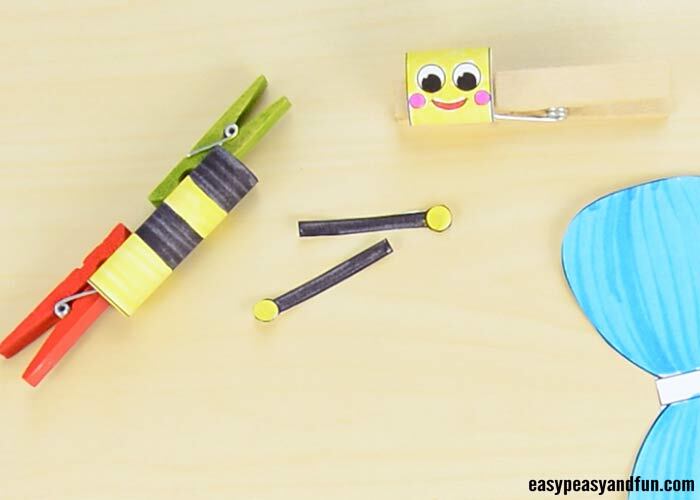 Kids will definitely love coloring, making and playing with these adorable mini beasts. 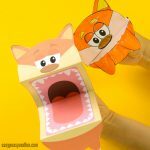 Nature is already crawling up with all kinds of bugs and other miniature creatures, so let’s mimic these lovely animals by making a playable set of our own. We’ve never met a child that wouldn’t love bugs, or at least some of them. 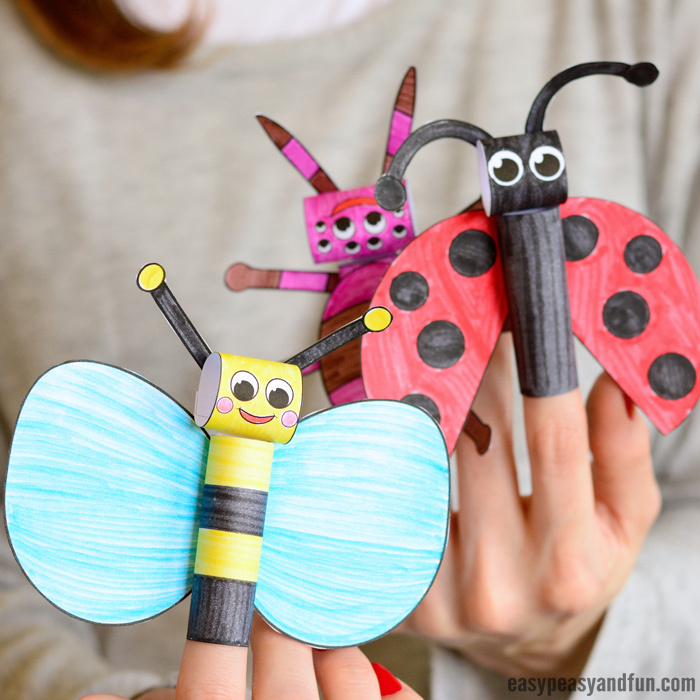 For that reason alone, we know this pack of finger puppets will be really exciting (and why not pair them our other printable bug puppets to)! 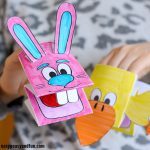 There are two different bugs finger puppet templates on each page, totalling 6 bugs. There is a butterfly, an ant, a grasshopper, a bee, a ladybug, and a spider. 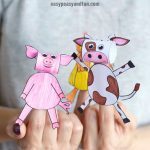 We made sure these will fit fingers of all sizes as with each puppet you can simply cut off the “body” part to fit onto the little or big fingers (so these can be made by/for kids, parents, teachers – just think about story time). 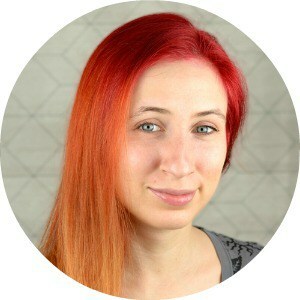 Ready to make your bugs? Let’s get started! 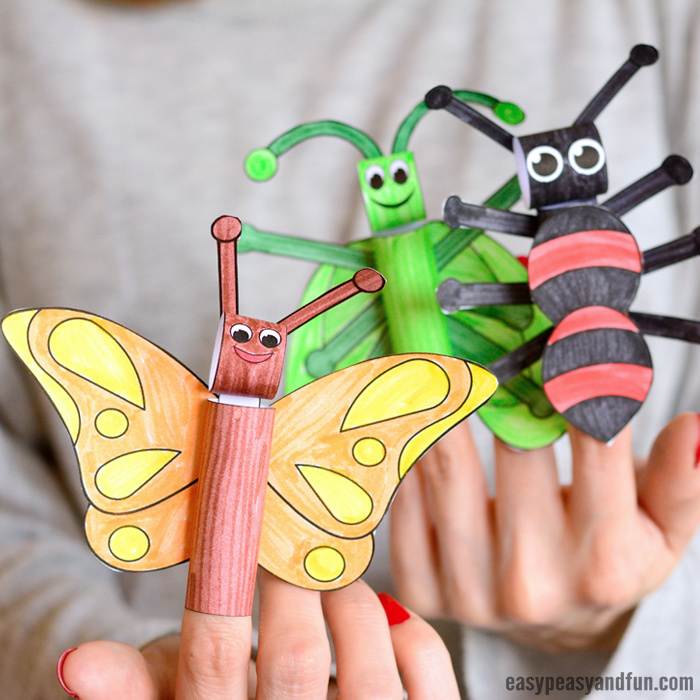 Print out all of the Printable Bugs Finger Puppets, or choose the bug puppet you want to make – you will find the printable craft template at the end of this tutorial. 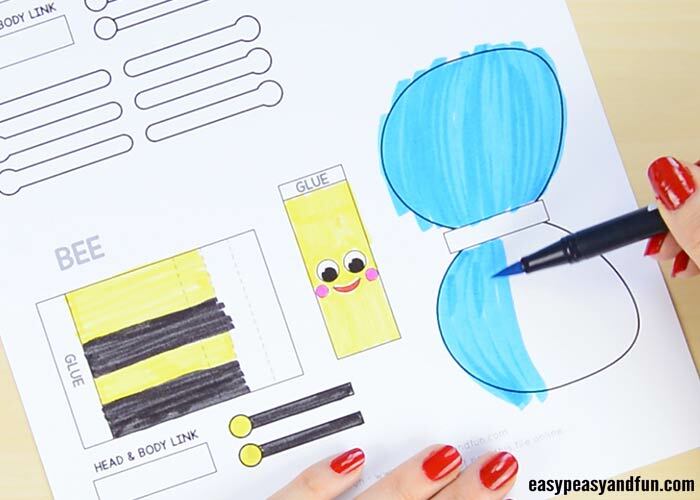 Color all of the bug parts with your favorite coloring supplies (we love markers). 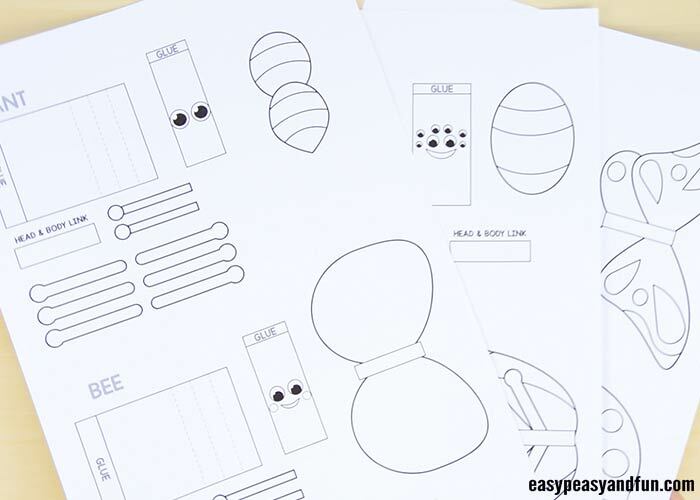 We will show you how to make a bee puppet, but the steps are pretty similar for any other bug in this printable pack. There are 4 perimeters of the body you can choose from, depending on the size of the fingers, choose the perimeter that works out best. Color the body to the first dashed line, you can color across the template or just to the dashed line that fits the size of the finger. We colored the body to the second dashed line, to fit it on a bit thicker finger. 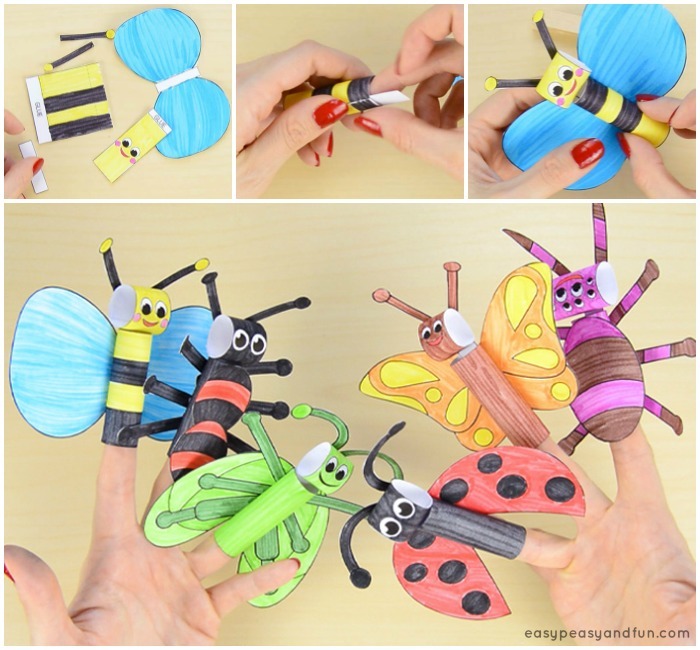 Cut out all of the parts of your bug finger puppet. As seen in the picture below, we’ve cut off the body at the second dashed line to make the bee’s body thicker. Apply a little bit of glue to the “GLUE” area on the head and hold it firmly together. We helped ourselves with a clothespin. It’s time to glue together the body of a bug. In this step, you can still adjust the perimeter of the body to fit nicely on your finger. Give it some time for the glue to dry out. 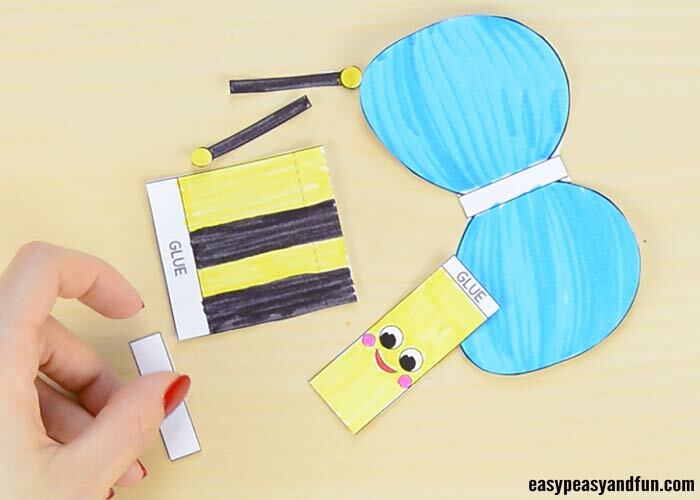 What you need to do now is connect the body and the head of a bug – use the “HEAD & BODY LINK” piece of the paper and glue it into the body “tube”. Apply some glue to the other part of the “link” as well and glue the bug’s head onto it. Press it firmly with your fingers, or use a small clothespin to do the trick. 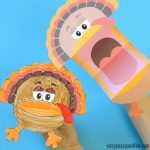 Your printable bug finger puppet is all done! Enjoy creating the whole set of bugs and have fun playing! 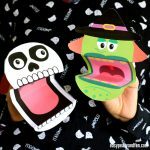 Also see our collection of all printable bug puppets.